According to a release from the Prime Ministerâs office, the 12 members are: Jomo Thomas (chairman), Philemon Allen, Keisha Ballantyne, Mandella Campbell, Joseph Delves, Clem Derrick, Pastor George Frederick, Stewart Haynes, Curtis King, Jennifer Richardson, Marlon Stephenson and Carl Williams. 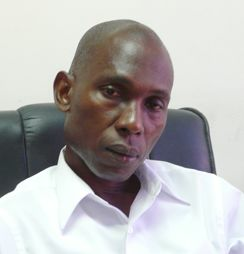 The release, dated May 21, said the committeeâs mandate includes carrying out, in conjunction with the Government and other institutions, organizations or agencies at home and abroad, a research and educational programme in St Vincent and the Grenadines on reparations for genocide and forced deportation of the Garifuna and Callinago people, for native lands stolen and for the enslavement of Africans in SVG. The other two tasks are to work in concert with the Government and other Caribbean governments to prepare and assist in the pursuance of the claim for reparations, through available political, diplomatic and legal channels and to do all that is considered necessary to prepare and desirable in pursuance of the public policy of the Government and People of St Vincent and the Grenadines regarding the quest for reparations. At a press briefing earlier this month, Prime Minister Dr Ralph Gonsalves said that he was determined to carry forward a programme to right the wrongs committed against the indigenous people of this country and the Africans whom the Europeans brought here as slaves. Gonsalves spoke, following a statement made by Leader of the Opposition, Arnhim Eustace, who said that although he thought that the issue of reparations was an important one, the government needed to deal with what he considered more relevant issues such as the state of the economy. Gonsalves, who recently published an article on reparations entitled: âPreliminary notes on the quantification from the British for lands stolen, genocide and forcible deportation of the Garifuna people and for enslavement of Africans in St Vincent and the Grenadines,â said that in the same way that a call has been made for reparations for other groups around the world, the same needed to be done for those in the Caribbean.